An electric trolley bus on the Port Road. The vehicle is an AEC 661T with a 59 seat double-deck body built by Adelaide firm Lawton, one of 30 delivered to the Adelaide MTT in 1937-1939. [Information provided by C.W. 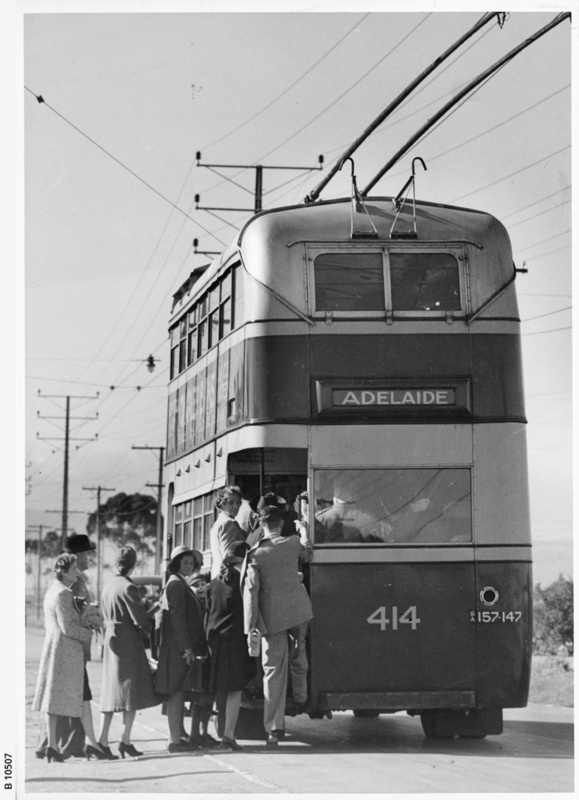 Davison] The Adelaide bound trolley bus number 414 can be seen loading its passengers of women, school girls and men.